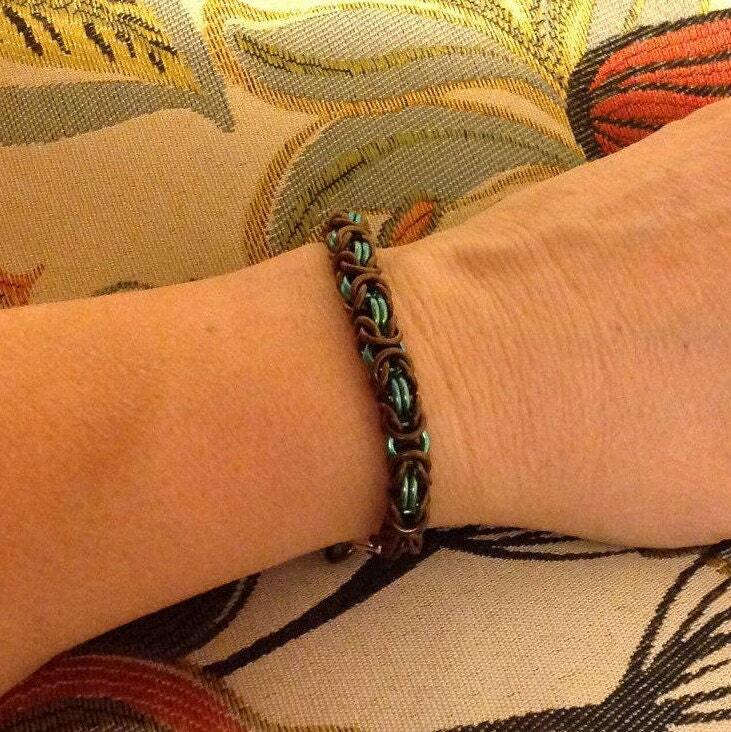 A Byzantine weave bracelet, just like my copper one but in lustrous green and brown anodized niobium. 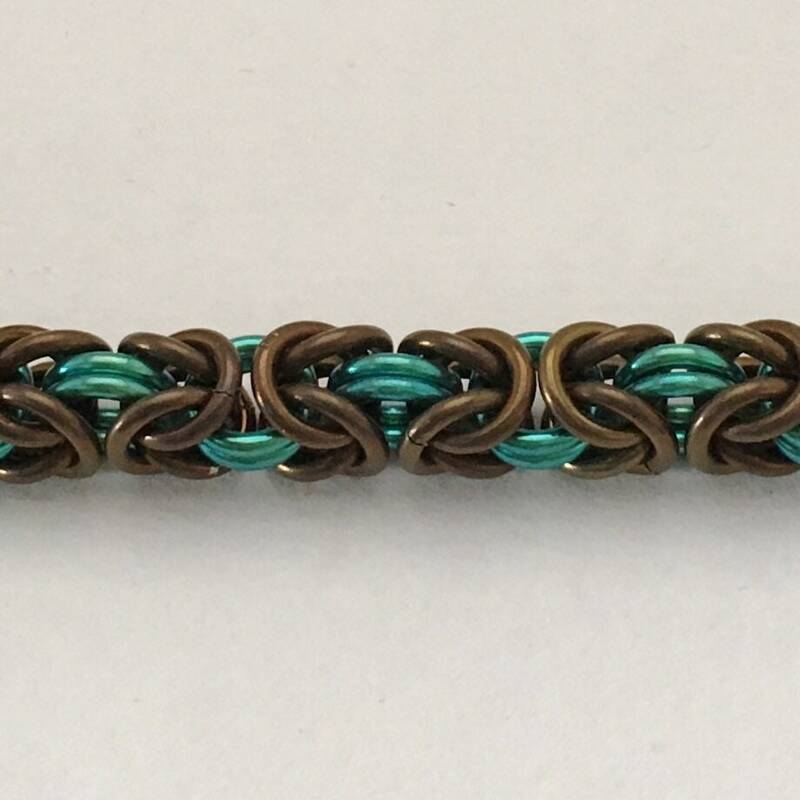 I can custom-make this bracelet in many color combinations, but I think this particular mix looks good enough to eat. 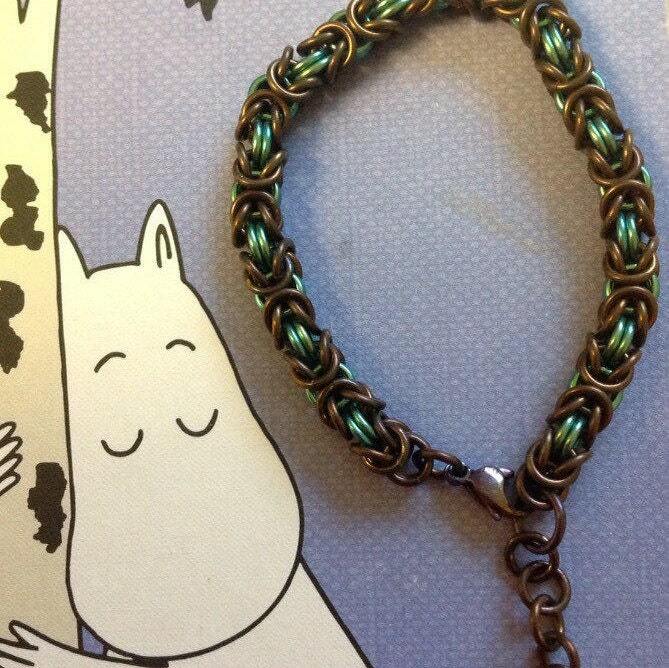 The bracelet is finished with a 12 mm titanium lobster clasp in a matching color. 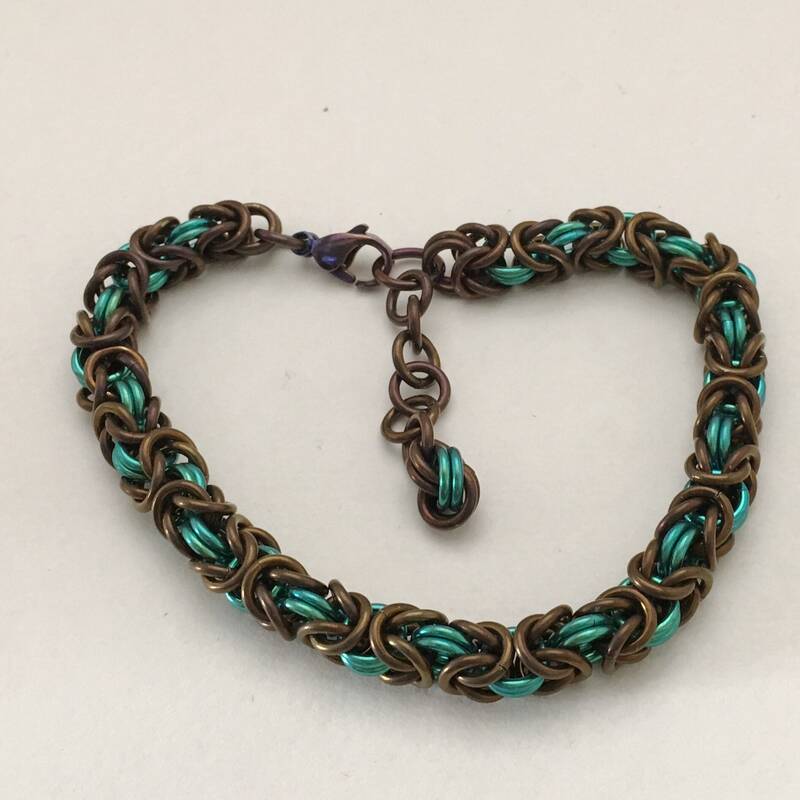 The overall length is 7 1/2 inches, plus an extension chain of 1 inch with a dangle, which I can easily remove if you don't want it. The width of the chain is about 1/4 inch. Weight is 25 grams. 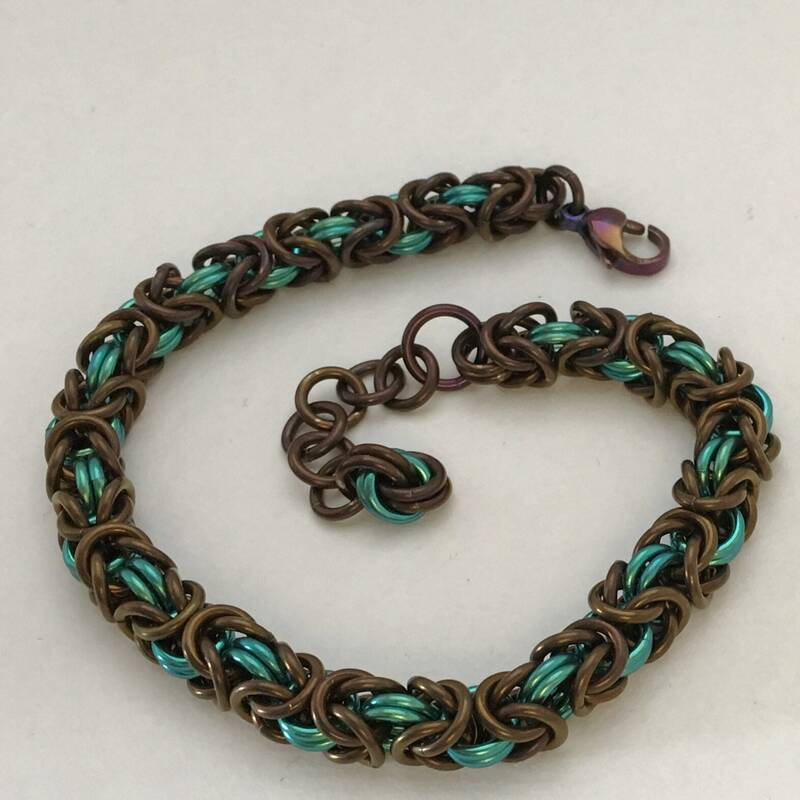 Niobium is non-allergenic and a good choice if you have trouble wearing other metals. The color was created by electrical anodizing and is a permanent part of the metal, not a coating, so it will not fade or peel.